The STFC Public Engagement Small Awards 2016B call is now open. Applications may be submitted until 4.00pm on Thursday 27th October 2016. 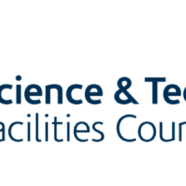 Applicants are advised to consult the STFC Public Engagement Strategy in advance of submitting a proposal. Applicants are also encouraged (if applicable) to consider working with under-represented audiences such as girls and young women in engineering and physics, groups in areas geographically remote from STEM activity and underperforming schools.